If the floor beneath you suddenly starts to shake, you’ll tense up. This reaction is hard-wired into your being. It allows you to assess the potential risk, determine a suitable response, and re-prioritize your vital systems—so they’re optimized for any required action. This response mechanism protected your ancestors from lethal threats in the wilderness. Since then, your context has changed. Your programming—albeit remarkable—isn’t yet fully compatible with today’s environment. This is why you blush when you bump into the bully who terrorized you in high-school. It’s also why your hands tremble after a stressful confrontation with an angry neighbor. Your system is responding to perceived threats, as it should. It just doesn’t have the fidelity to categorize these threats appropriately (e.g. “mortally dangerous” or “trivial”). For most, such upsets occur infrequently. As such, there’s little need to pay your poor risk-categorization skills much heed. Although you wish you handled stressful situations better, you move on. As our culture shifts from an employment model to a free-agent economy, though, these perceived threats become commonplace. A job you’re working on comes to an abrupt halt. The government wants to collect taxes you thought you had already paid. A colleague fails to deliver on a gig you’re collaborating on. Your equipment breaks down on the big day. Your product has a fatal flaw. The pluming fails and your home office floods. The less sheltered you make your life, the more you’ll experience these bumps. Notice that word? Let me say it again: bumps. When you live by your own rules, you’ll experience many bumps. These will be uncomfortable—but not lethal. You need to adapt your programming so you don’t fall into a tizzy, every time you experience one. 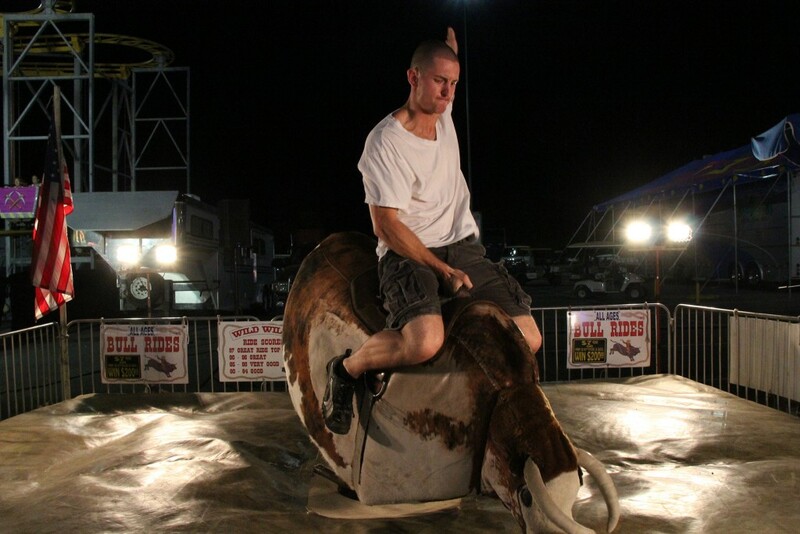 If you have a moment, watch a video of someone riding a mechanical bull. I’m no expert on the subject, but when I did this, I noticed something. The riders who stay on for the longest don’t fight the machine—they go with it. If it jerks back, they follow; when it bolts to the side, they do the same. The rider doesn’t need to know what’s coming next. He/she just needs to stay limber—and not try to force an outcome. As you expand your world and take on new challenges, you’ll benefit by taking a similar approach. When a job gets cancelled, you’ll move on to a personal project—or go on a holiday. When the government wants more money, you’ll learn to start saving for such occasions. When a colleague bails, you’ll find another. When your equipment breaks, you’ll make do, or reschedule. When you uncover a product flaw, you’ll take responsibility and fix it. When the plumbing fails? Well, I suppose you’ll work in a coffee shop while the repairs are underway. Few of the solutions I propose sound great. They aren’t meant to be. Instead, these are examples of how to adapt, and keep moving forward, when situations go awry. And they will. What might surprise you, is how nicely some of these detours might turn out. The side-project is more rewarding than expected, and opens up new opportunities. The replacement is nicer to work with than your previous colleague. The way you deal with your product flaw builds trust with your customers. The coffee shop exposes you to new ideas. Point being: you never know where something good lies in wait. No matter how bad of a bump you hit, you’ll probably be OK. In a couple of months, you’ll look back, and hardly remember how concerned you were at the time. You can’t control the world around you; but you can change how you respond to it. Thanks for your thoughtfully written article Eric. In these, my early days, a reminder is helpful to “go with it” and adapt. And that I’m not the first, nor will I be the last, to trip and stumble on the entrepreneurial path. I really appreciate your writing. Keep it coming and I’ll comb the archives.